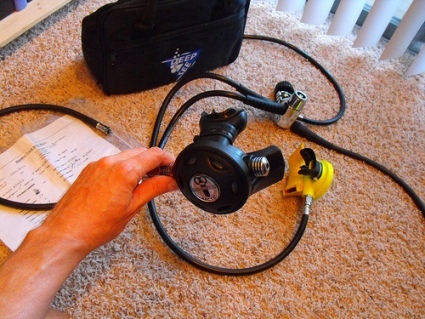 Scuba gear is very important on you dive trip. 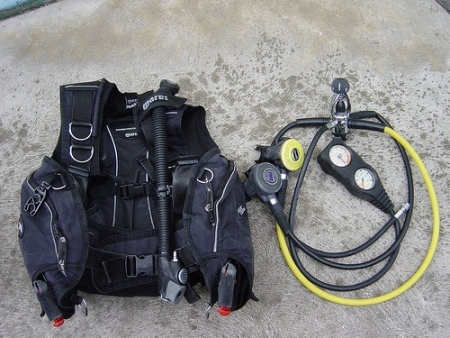 These pictures of scuba gear are essential to any diving adventure. Even though it is great to have your own gear, it is a good idea to accumulate these overtime. However, most dive tour operators and liveaboards provide rental equipment at reasonable prices. 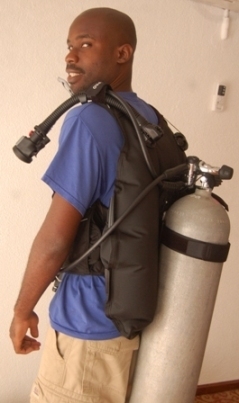 Be sure to call ahead to to ensure the dive gear needed is available for rent. 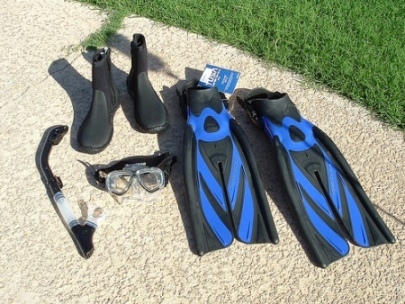 In this picture of scuba gear in an anti-clockwise order, snorkel, booties, fins and finally dive mask. 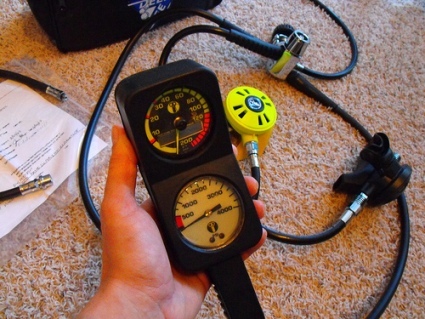 Buoyancy Control Device on the left and regulator.